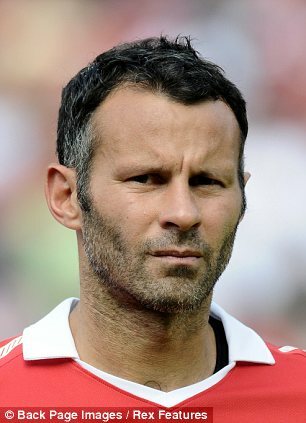 The former Estate agent claimed she has slept with Ryan Giggs in an affair sustained over nearly a decade, following the allegations he had been having an affair with Imogen Thomas. Natasha, who is married to Ryan’s brother Rhodri, a former footballer, is said to have told friends she was involved with Dwight Yorke, father to Katie Price’s child Harvey, throughout his career at the club, from 1998 to 2002, the paper claims. It has also been claimed that she slept with Simpson when he was trying to get into the first team at United and she became involved with Bardsley after she exchanged saucy text messages with him and Ryan after she attended an Ann Summers party. After the alleged affair with her husband’s brother Ryan, Natasha has fled their family home in Bolton, but reports claim that just last month she was cheating on her husband with a promotional worker in Ayia Napa, The Sun has reported. Natasha is said to have met Lewis White just hours after she arrived in the party town at the start of a week-long holiday to celebrate a friend’s wedding. It has been claimed that when she returned home the pair kept in touch with text messages and contact on social networking website Facebook. When news broke of her alleged affair with Ryan Lewis said she asked him to keep their fling a secret. While Natasha has bedded Giggs and the former footballers it has been claimed, Ryan Giggs is said to have had affairs with Imogen Thomas, Natasha and a third mystery woman. When Rhodri, 34, found out about the alleged affair between his wife and Ryan it has been claimed he went berserk. Meanwhile Ryan and wife Stacey, who has pledged to stand by the footballer following the claims, are currently on holiday in Spain.